Jungle Red Writers: Brain test, maybe. Have you seen this? 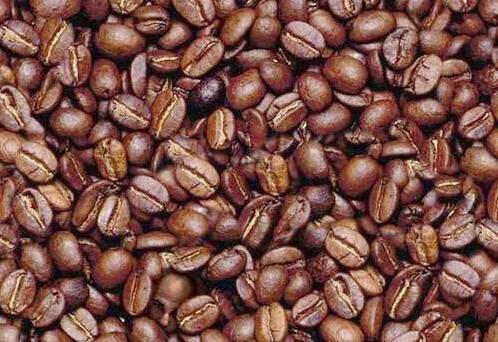 Look for the man in the coffee beans. If you can find him within three seconds, you supposedly have a highly developed right brain. If it takes you between three seconds and a minute, you have a normally developed right brain. If it takes you longer than three minutes, or if you can't find it at all, you need to work at developing that part of your brain -- and maybe eat more protein. It's fun, but likely one of those email scams. Especially since the authority quoted in the email a very generic "doctors say." Not even the almost as generic, "researchers say." I found him immediately. Like in a second or two. Am I highly right brained? Or did my gaze happen to land on him as I opened the email? Even more likely......all that time I spent with my son reading those "Where's Waldo" books, just finally paid off. How did you do? How likely is it that it means anything? And what's protein got to do with it? Must be my computer glasses. No, maybe I had too much coffee and the bagel didn't offer enough protein. Took me awhile with 'Where's Waldo' too. My kids beat me evertime. I don't know whether taking slightly more than 3 seconds says anything about any part of my brain's development - but I think anything that gives our brains a little exercise is a good thing! Take heart, you kids were supposed to beat you at Waldo. Maybe lox or peanut butter on the bagel?? Deborah -- You are right and I think it does have a little bit to do with brain flexibility. 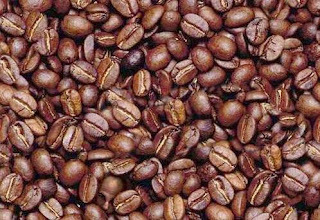 If you start out trying to make patterns out of the coffee beans - and stick with that approach, you are sunk. I also thought it was interesting in that he's sort of on the periphery of the image. My eye went straight to the center and seemed to rove in a wider-spreading circle out. So, that makes me wonder - does everyone first look at the center? My eye went straight to the dark spot first, for some reason, then I spotted the guy right away after that. I've always been able to find Waldo, too, though. I have a theory about patterns, and how some people can discern them, and others cannot. It's similar to the ability to "see" in 3D, when confronted with a perspective drawing. When I was a kitchen designer I found out that not everyone can visualize that way, any more than my husband can see the right spatula in the drawer. However, he can discern specific birds from their silhouettes, and I simply cannot do it. I apparently have no right brain whatsoever. Oh, well. That's so true about the different way people see things. I know about husbands not being able to see the spatula right in front of them. And I have a really tough time visualizing design. But I can spot the patterns already there. Rhonda I started in the center first and then moved down and found him, so maybe everyone does that or maybe you and I just look at things the same way. Don't worry Hank -- it really has more to do with how much prior practice you had finding Waldo than anything else!